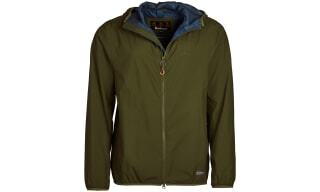 Men's waterproof and breathable jackets and coats from Outdoor and Country. Staying dry, warm and looking good never has to be difficult again thanks to the impressive selection of men’s jackets available in our fantastic range of waterproof, breathable, stylish, quality jackets from brands Such as Barbour, Aigle, Musto, Schoffel, Jack Murphy, Timberland and Dubarry. Whatever your style choices and whatever your practical needs, our selection is sure to offer just what you’re looking for. 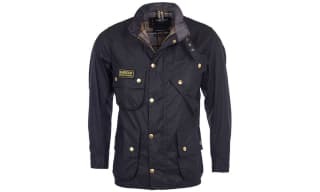 Wax jackets for men from Outdoor and Country - if you’re in need of a quality, highly durable jacket then your search is over, as we have a stunning collection of beautifully designed jackets for men. 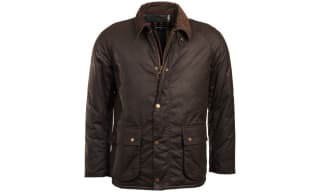 The world renowned Barbour brand has, for years, specialised in providing the ideal outdoor men’s jackets, that are not only able to withstand the rough and tumble of the great outdoors but jackets that have gained the admiration of style critics everywhere, we also offer men's waxed cotton jackets from a number of other brands, such as Musto and Jack Murphy. 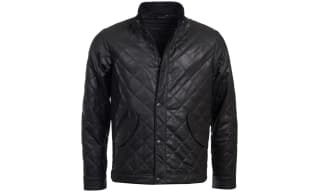 Never has one piece of clothing been so popular amongst fashion experts, stylists and celebrities than the men’s quilted jacket and here at Outdoor and Country we have an impressive selection of the latest, greatest designs that can do no wrong! With a fatastic range of quilted jackets from Barbour; our protective and stylish quilted jackets for men are the best of the best on the market and are sure to satisfy your every need. Whether in search of extra protection against the harsh weather conditions or in search of a simple, stylish outer layer; why not opt for one of our men’s fleece jackets? 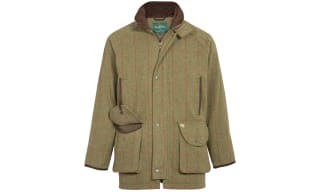 We have a range of fashionable, quality pieces from brands such as Barbour, Aigle and Schoffel, which are renowned across the world for their simplicity and durability that embrace the Great British outdoors with sheer class. Whatever design and whatever style you need; we are sure to have the right men's fleece jacket for you. 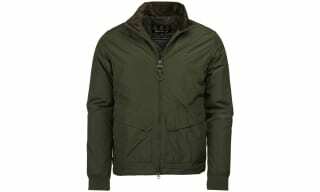 Celebrate the king of cool designs with our seriously stylish range of men's bomber, Harrington and blouson jackets. Earning its place as a go-to classic item for many years, the iconic bomber jacket has undergone a plethora of makeovers since its humble beginnings as a simple lightweight throw on...and still retains a pivotal position in most guy's outerwear collections. The easy to wear design and minimalistic aesthetic combine with a lightweight feel to provide the ultimate wear for most seasonal trends. The signature blouson adopts a very similar aesthetic for a relaxed vibe that still packs a stylish punch. 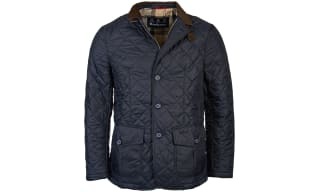 Legendary designs from iconic brands such as Barbour International combine traditional detailing with their inimitable flavour for an individual look to represent the modern man. Archetypal detailing such as the narrow collar, voluminous silhouette, a zip fasten and simplistic concepts mix with playful textures and pocket detail. Luxurious fabrics create a premium base, complemented by a second-to-none fit for a handsome finish. Layer your bomber over a relaxed printed tee with your favourite jeans or style it up with a suave shirt and chinos for a dapper look that transitions easily between seasons for an investment-worthy wear. For many years, men’s leather jackets have been the staple of the design world and now, you can inject a little designer oomph into yours thanks to the stunning collection available from Outdoor and Country. Our leather jackets for men have been beautifully crafted with quality, style and durability in mind to ensure that whatever style and colour you purchase; it will remain a part of your wardrobe for years to come. 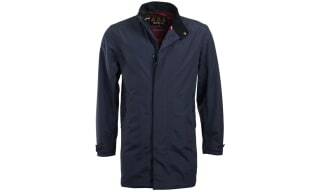 Make sure that wet weather days are no match for your style with our incredible range of men's lightweight and packaway jackets. The weather is notorious for throwing out unexpected grey clouds and showers when you least expect them - so beat those murky skies and prepare ahead of time with our versatile and practical collection of protective cover-ups. Featuring incredibly stylish and detail-rich pieces, these items are an exceptional fusion of form, style and functionality for the ultimate wear. Premium brands combine luxury waterproof outers with stylish silhouettes and detailed trims alongside functional pockets and protective hoods. The extra lightweight nature of the packaway styles means you can pack them away without a hassle - simply throw them in your bag and off you go. Whether you're embarking on a weekend hike or simply want a waterproof layer for your commute to work, look no further than our catalogue of items. The parka has become an iconic cultural landmark for many people, and that's not about to stop. Below you'll find that our brands have an abundance of fresh takes on this now classic design, taking inspiration from both its musical and military backgrounds and mixing it up, with innovative detailing and timeless designs. Join the tradition that keeps on growing and grab yourself a parka today. 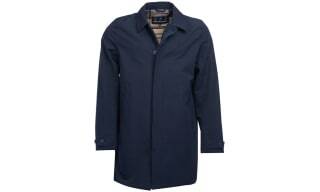 We understand that when you are out in the field you demand a lot from your shooting jacket. 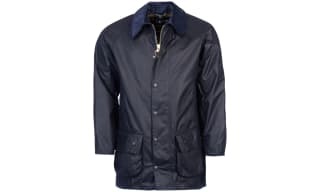 Therefore we have a selection of technical shooting jackets from some of the world’s leading sports brands such as Barbour, Musto, Aigle and Schoffel. From tweed to highly waterproof lightweight shells, our selection of shooting jackets for men will have something to fit your needs. Inject some debonair British style into your life with our breath taking range of men’s tailored jackets. Dapper and sophisticated is most definitely the trend of the season and now one that can be easily implemented into your everyday life thanks to the growing collection available here at Outdoor and Country. Gorgeous craftsmanship and quality materials lead the way with our selection of tailored jackets that make true British style come to life. Rediscover your classic roots with our impressive range of men's trench and overcoats - a desirable collection that will certainly put your style credentials on the map. The traditional trench has long been a favoured style, adored by most for its refined demeanour and sophisticated traits that can transform your look as well as offering protective properties for versatile day to evening wear. With a stylish mix of minimalist and detail rich outers, there's bound to be something you'll love in this irresistible compilation of outerwear, with many designs boasting shower proof or waterproof exteriors for a great transeasonal wear that will protect you from grey skies. Whether a shorter length or a more refined longer cut, a trench or overcoat can easily be dressed up or down. Celebrate an incredible fusion of style and substance like no other with our range of men's tweed jackets and coats, bringing a refined edge to your outerwear collection. Classic pieces that only become more stylish with age are a must for today's discerning gentleman - our handpicked pieces offer traditional hard-wearing fabrics that stand the test of time...complemented by trend-led detailing for an exceptional wear every time. Whether for work or play, each item in our jackets compilation boasts the highest quality craftsmanship and the finest fabrics - so you can rest assured you're only ever choosing an investment-worthy piece. Premium brands such as Barbour, boast the ability to create structured high-performance garments that will kit you out for outdoor wear - focusing on fit, comfort, protection and style. 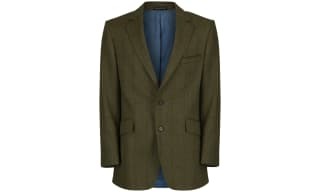 Country connoisseurs and fans of the classic look will adore our specially selected tweed jackets, featuring both traditional and contemporary tweeds that are enhanced by flattering silhouettes and an abundance of features. Work your own piece for an enviable style. 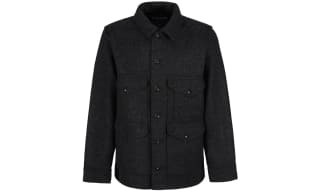 At Outdoor and Country, we have the perfect selection of Men’s wool coats and jackets that provide the ideal protection against the harsh conditions that the winter brings. 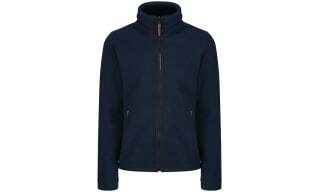 Whether it’s the brutal winds, the heavy rain or the sweeping snow; we have a respectable collection of highly durable woollen jackets that not only provide impressive heat retention and durability but are designed to ensure that, for the fashion conscious; Mother Nature never has to force you to compromise fashion for function again!